We’re pleased to announce that we are proud sponsors of the 2015 Hamilton Music Awards! This event was introduced 10 years ago as a music festival to showcase local talent, and has grown into an exciting three day event that includes a nationally broadcast music awards show, an industry awards show, festival, conference and Rising Star Search. We are excited to work with a Hamilton festival that loves LOCAL as much as we do! The HMA Music Festival takes place over three nights (this Thursday – Saturday) and features over 60 musical acts in clubs and theatres throughout downtown Hamilton, with the main stage performances taking place at the Dofasco Centre For The Arts. Check out this link to see who’s playing! 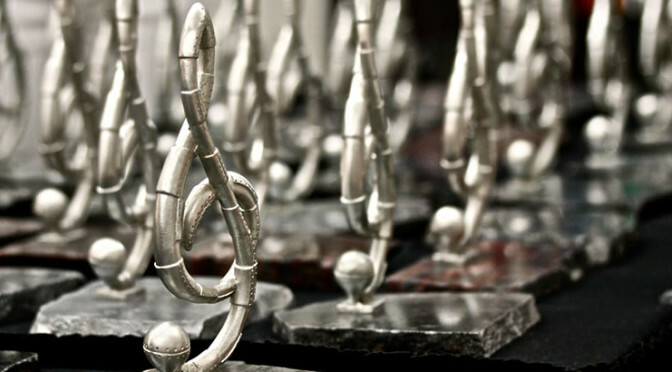 The HMA Award Ceremonies are this Sunday evening, also at the Dofasco Centre for the Arts. Click here to see who’s nominated! We’ve got passes to give away to you, our Mustard Seed friends and fans! There are two types of passes you can win. We’ll choose our winners randomly, and you can pick which pass you want! 1) SHOW TICKETS – we’ve got festival wristbands (valued at $400 each) and orchestra tickets to the main shows (ranging from a value of $50 – $120). 2) EVENT TICKETS – we’ve got passes to the HMA conference (this Thursday, valued at $200 each); passes to the Industry Awards (Saturday evening, valued at $250 each); and passes to the Music Awards (Sunday evening, valued at $400 each). 1) Simply share this photo on Facebook and tag/mention your favourite local band, for a chance to win! Or retweet on Twitter! 2) For a double chance at winning: share a local food story on social media by posting a photo using the #thisbecomesthis hashtag on Facebook, Twitter, or Instagram, and be sure to tag The Mustard Seed. Your photo can show any part of your local food story – your seedlings growing in the garden, your cart of local groceries, the meal you made with the local food you purchased…we wanna see! If you’re using Facebook, tag The Mustard Seed: Hamilton’s Community Grocery (and the #thisbecomesthis hashtag). If you’re using Twitter or Instagram, tag @mustardseedcoop (and the #thisbecomesthis hashtag). Not on social media? Send it over by email, with the subject line #thisbecomesthis to info@mustardseed.coop. There are only a few days to participate, with the conference kicking things off this Thursday, and the awards wrapping it all up on Sunday – so act quickly to get the tickets you want! Share, share, share, and join in to win some amazing passes to the Hamilton Music Awards! Please note: Contest winners will be chosen throughout the next few days, and will gain their tickets on a first-come-first-serve basis. What this means: If you receive a message or email from The Mustard Seed indicating that you’ve won, please respond as soon as possible clarifying which tickets you’d like to receive, and confirming that you will pick them up from the Co-op (460 York Blvd in Hamilton). If we do not hear from you within two hours, the tickets may be passed along to the next winner.